This edition of CoastLine first aired Thursday, August 24, 2017. Listen here. Just last week, vandals splattered red paint on both statues. It appeared, according to the Wilmington Police Department, that someone attached a rope to one statue – possibly in an effort to pull it down. This was a rather mild reflection of what’s happening in other parts of the southeast. Protestors have toppled Confederate memorials in cities around the South, including Durham, North Carolina. Some municipal leaders, like Mayor Mitch Landrieu of New Orleans, have decided to bring them down on their own. As it stands now, the statues in Wilmington will not come down legally. A North Carolina law passed in 2015 provides for the protection of monuments and memorials commemorating events, persons, and military service of North Carolina history. This effectively removes the power from communities to make any decisions about how Confederate monuments should be treated. A recent poll from Public Policy Polling, which has a slight left-lean, shows President Donald Trump did not actually lose much ground among supporters after the violence over the statue of Robert E. Lee in Charlottesville, Virginia. According to PPP analysis, 5% of Trump supporters say Latinos face the most discrimination in America. 16% say it’s African-Americans. But 45% of Trump voters say white people face the most discrimination in the U.S. When the same question is examined from a religious point of view, 54% of Trump supporters say Christians are the most-discriminated against group in America. On this edition of CoastLine, we continue the public and local exploration about how Confederate statues and monuments should be treated – whether they should be removed because they represent the fight for slavery or whether taking down these statues is a wave of political correctness that is destroying important historical markers. Earl Sheridan is a Professor in the Department of Public and International Affairs, University of North Carolina Wilmington. He is also a member of Wilmington’s City Council – soon to complete his third four-year term. Chris Fonvielle is an Associate Professor in the History Department, UNCW – where he specializes in the American Civil War, the Lower Cape Fear, and North Carolina history. Monica Gisolfi is an Associate Professor in UNCW’s History Department with a focus on the history of the American South. 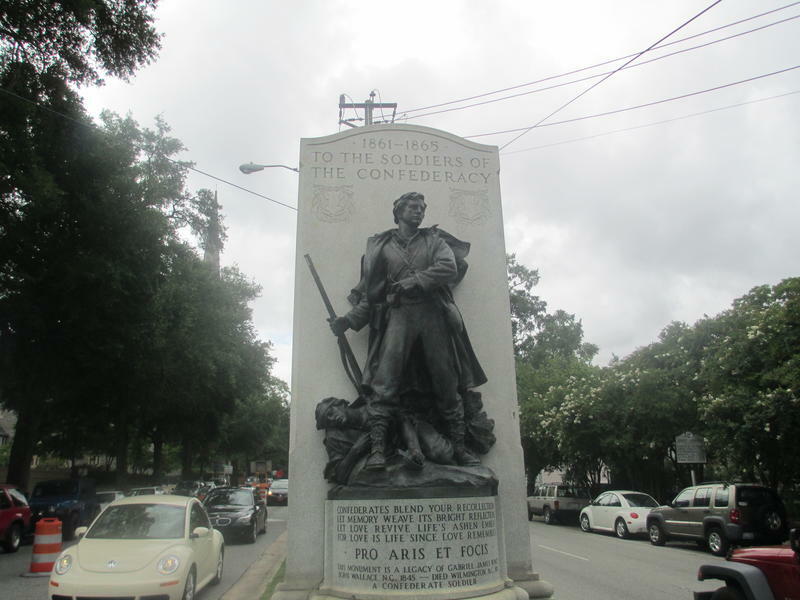 Rachel Lewis Hilburn: Chris Fonvielle, explain for us, for those who aren't familiar with this part of Wilmington history, what is the meaning and the purpose of the George Davis statue, Attorney General of the Confederacy. What does that statue say? Chris Fonvielle: When the statue was erected in 1912 by the United Daughters of the Confederacy, it was to pay tribute to Wilmington's most eminent lawyer and also chronicler of the lower Cape Fear. That said, it also recognizes that he was the last attorney general of the Confederate States of America 1864 to 1865, for which he did spend time in prison. So I think it reflects all of those things. RLH: So is that statue of George Davis up there because of his role in the Confederacy, or the Confederacy and other roles that he played during his lifetime? CF: Well I think you could make your argument because it was put out by the United Daughters of the Confederacy, that's the main thing that they wanted to pay tribute to. 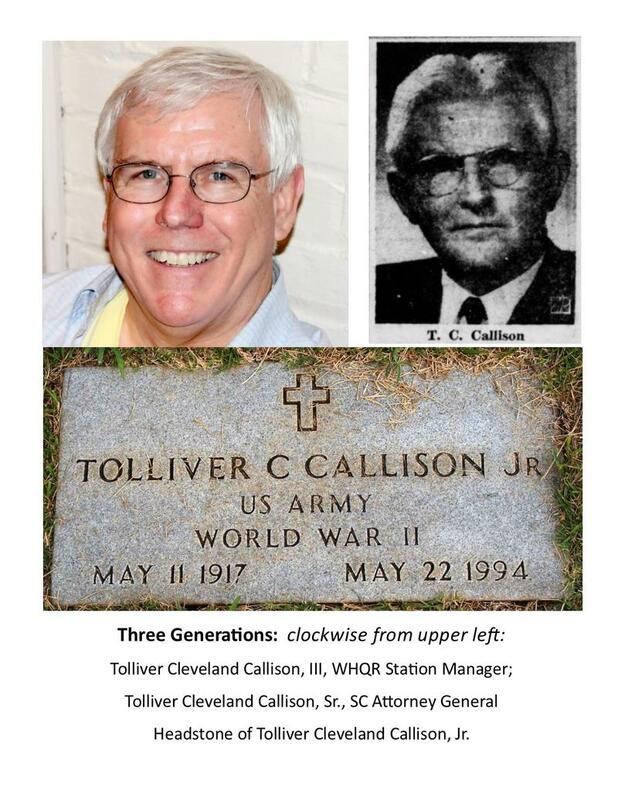 But also I also think that because he was one of Wilmington's leading lawyers and most venerated citizens and early historian of the lower Cape Fear, they wanted to recognize that as well. RLH: Earl Sheridan you're a Wilmingtonian, born and raised. When you pass by the George Davis statue and you look at it, what do you think about it, and how do you feel when you look at it? Earl Sheridan: Well, I've always been offended by that statue as well as the other statues about the soldiers of the Confederacy. You know, I see it as a praising slave owners and folks who were fighting to uphold slavery. And you know, I think these historians they might know more about this than I, a lot of the statues were put up around the south after Reconstruction was over, when Southerners really got control again of their local governments. The Redeemers, the white Southerners, and I think these statues and monuments were kind of put up to in a way to say, well we're in control again, and we want to remember history as we want to remember it. And so you know I had an offense as far as the statue is concerned. RLH: And yet you said at a recent city council meeting that you don't think they should necessarily come down. Why? ES: Well, I'm not going to fight to keep them up. But I do think there is another compromise on this. I'd like to see more statues, more memorials to African-Americans in our community, to people who have made contributions. I'd like to see, and I said is at the council meeting, I'd like to see a statue of Abraham Galloway on Market Street across from that George Davis statue or whatever. ES: Abraham Galloway was a runaway slave Union soldier, Union spy, and one of the first black legislators. When he died his funeral was held at St. Paul Episcopal Church and that it was the largest funeral to be held up until that time. And so I'd like to see that someone like Abraham Galloway or David Walker, who wrote David Walker's appeal opposing slavery or various other African-Americans. I think part of the problem with these Confederate statues is that they're the only thing that are out there. They are what are defining our communities. And I don't want our community to be defined only as a haven for the Confederacy. CF: I'll just add to the Abraham Galloway story. He was the most powerful African-American in North Carolina during the Civil War after Union forces captured an occupied eastern North Carolina, the exception of Wilmington. By 1862 Abraham Galloway returned from Canada and Union military forces did nothing without the permission and authorization of Abraham Dalloway, and he became an important figure in the state legislature after the war. And I absolutely agree with Earl. In fact, he and I have talked about how we go about erecting a statue to Galloway. And I hope that comes to fruition to help balance the story. RLH: You would support the contextualization. Monica Gisolfi, I know that to you that doesn't solve what you see as a problem here. Can you explain why erecting statues that honor African-American heroes or you know -- critical figures in history doesn't solve the issue for you? Monica Gisolfi: What erecting a statue to David Walker or Abraham Galloway or Frederick Douglass, what that would do is it would set up a false equivalence where we would be communicating the message that George Davis and Confederate soldiers fought for freedom. And so too did Abraham Galloway and Frederick Douglass, you know just as an example. So I think that what it would do is that it would further elevate and further legitimize the Confederate statues that are there and these Confederate statues, as Chris pointed out, honor men who broke with the government and waged a war to defend the institution of slavery. And so that's what I see as probably as problematic as setting up this false equivalence where we're saying George Davis is equal to in terms of his dedication to the Republic, his fight for freedom is equal to someone like Abraham Galloway or Frederick Douglass. RLH: Now is there a difference here, you Monica Gisolfi, are looking at this strictly from – you’re looking at George Davis as the last attorney general of the Confederacy and that's what you see - the values of the Confederacy being marked and upheld in a public space. Is there a gap here between people who grew up in Wilmington who look at George Davis and see somebody else, a chronicler, a historian, a good father, and grandfather? MG: Well I think we need to look at what the monument says, and the monument honors him for being attorney general to the Confederacy. And I think as Chris pointed out the United Daughters of the Confederacy erected this monument to honor and vindicate the Confederacy. Obviously he was many more things than simply the attorney general of the Confederacy. But if we look at when and why this monument was erected, it's very clear that they're honoring him for his role in the Confederacy. And obviously he did many more things than that. But as it's written onto the landscape to memorialize and commemorate the Confederacy and to, as I said, to vindicate the cause of the Confederacy and to rewrite the reason why Confederates broke with the Union and waged a war. They waged a war to defend the institution of slavery. And we know that. RLH: You are listening to CoastLine… And in that first segment we talked a little bit about this idea of erecting statues to African-American heroes, key members of history who are not currently reflected on the landscape. Earl Sheridan, Chris Fonvielle you've both talked about that and Earl Sheridan you've characterized that as something of a compromise in lieu of pulling down the statues to the Confederacy. ES: Yes. And I would also feel that maybe plaques or information could be added closer to those areas that you are talking about slavery, talking about what happened with slavery so that people can see this and it could be kind of a teaching moment to them as far as these things are because they are not just merely venerating those people, but talking about the context and what happened what was happening with slavery and that kind of thing. And so again, I think those kinds of things could be things that could be you know could be added. RLH: Is Tony Renn a white guy? CF: Yes. He wrote an architectural history of Wilmington but it's important understand these statues do not reflect who we are. They represent who we were. And that's an important distinction to make. There's a letter to the editor by the head of the United Daughters of the Confederacy out of Richmond today. Patricia Boyd, I think her name is, and she makes that distinction that the UDC of old is not the UDC of today, and the UDC’s views have changed. RLH: Explain the change in the views. CF: Well I think because right now vast majority of white Southerners understand what the war was about. And let's just set the record straight. The war was about perpetuating slavery. Alexander Stevens, vice president of the Confederacy, said that in his cornerstone speech in his early address to the Confederate Congress. Jefferson Davis made that.There's no question that that's what the war was about. RLH: And so then help those of us who didn't grow up with this because we look at, you know, something like the statue of George Davis, and we see a monument that validates and venerates the ideals expressed by the Confederacy which lost… and we are generally agreed now that the Confederates were on the wrong side of the war. They fought against the Union. What about that should be venerated? CF: Ulysses S. Grant said that best. We're talking about Robert Lee. He said he fought hard, he fought valiantly, but he fought for a very bad cause. The statues were put up to venerate that past. But now we can learn from them. But they don't represent who we are today, our own values but we can learn from the past. And I think that bringing them down would deny us an opportunity to do that. As Earl said I'd be all for putting up some kind of plaques or markers that would provide some historical context, and how do you go about that? Do you put together some kind of committee? Could be a member of the UDC, it can be a member of the NAACP. I mean a number of people could contribute to that effort so that you get a list of all the arguments for and against the merits or demerits, whatever. I think people are intelligent enough to figure it out on their own. RLH: And I want to get to some of our callers… Claudia from Pender County, welcome to CoastLine you're on the air. Claudia: Oh thank you. Yeah I wanted to comment further on that idea. Adding to the monument landscape, I am personally not for pulling down the monuments that we have, but I would like to see them have more context and I would also like to see commemorated some of the people who arguably added even more to North Carolina history in a positive way. And I think one person has already been mentioned Abraham Galloway as a legislator. He was key to having public education for all put into the 1868 state constitution, as I understand it. And also another person who doesn't get nearly enough recognition is George E. Davis, not the Confederate attorney general but George E. Davis, who is an African-American professor at Biddle University, and then when he retired from 1920 he traveled the state organizing communities to help them raise funds and organize to build Rosenwald schools, which were schools that communities helped to build during the segregation era when the school boards were not building schools for their children. RLH: And so Claudia when you hear Monica say something like if we erect statues to African-American heroes from different times and flesh out that era with these monuments, we're creating a false equivalency between, say, Abraham Galloway and Davis. What do you say to that? that improve the entire state to a great degree that we don't currently recognize. Gary from Wilmington, welcome to CoastLine. You're on the air. Gary: Yes. I just wanted to comment on the statue. I definitely agree with the false equivalency. And I was always taught that a compromise is not always a good thing because compromise means that you still gave up something. And I think that if we're going to be a progressive community within this state maybe we need to create a new way, and to take a new stance to sacrifice who we were to who we are now, to quote another professor in the room and take the statue down. There's a place for history and that is in the museum. So why not put the statues in the museum for people who want to go and pay to see the history of the Confederacy? But to have it in a public space that you pass by and see every day to something that was such a heinous act coming from a young black male, that is very offensive. I think that that's just wrong to have in the public view for all to see. I just think is a better place for it. RLH: Earl Sheridan, is this sometimes a discussion amongst white people? I mean, are there any African-American people who would say, yes, there is value in keeping George Davis at the entrance to downtown Wilmington? ES: I don't know. There probably are. RLH: I realize you can't speak for all, but when we hear the arguments, it's always white people saying there is value in this and we shouldn't desecrate. ES: Well I've talked to other African-Americans in Wilmington about the idea of adding statues and not necessarily taking down the ones in some of them of say, oh yeah, you know, we see that. And so, you know, I think you know there probably are some that feel that way. I think that what has happened though, sometimes the wave of history does certain things. Charlottesville has people justifiably in a very emotional and angry state, whatever it is. I think that what our state legislature needs to do is to allow cities and communities to deal with these statutes to have discussions about what to do about them. We need a public discussion about it like this right here. ES: Actually, Charlottesville, you know they had a commission that studied this for about a year and made a suggestion to the city council, which has an idea that involves proposing. So we need to, you know, disagree with the state legislature saying cities and towns can't touch these statues. Cities and towns need to have this debate have this discussion and decide and towns might decide different various ways of dealing with the statues and that kind of thing. RLH: We have an e-mail from Don. He writes: If the North Carolina state law says local municipalities cannot make the decision to remove monuments, shouldn't the law also state local municipalities cannot make the decision to erect monuments? And I think that's a rhetorical question. ES: Well I think that a lot of the monuments were not really erected by the cities and how they were, you know, they were private or private organizations or private entities that did them, but they were put in public spaces, but they were not erected by the cities. CF: Every monument in Wilmington was put up through private donations. That's important. RLH: And how does that happen? Do they get a permit from the city to do it? How were they able to take, say, the median at Third and Market Streets. Who gives permission for that? That’s what we did when we put up the 1898 monument on North 4st. Lee, Jefferson Davis, and Stonewall Jackson have come forward in the past weeks calling for the removal of these monuments. So I just I think it's important to get at the heart of this. This is not an issue where all white people think one way and all black people think another way. I also think that it's important to sort of think through this idea of historical markers and having interpretive markers which seems to many people the answer. And we actually have a case in our midst about it that reveals that this isn't the answer at all. This is entirely historically inaccurate. And we can view this interpretive marker as part of kind of the history of Confederate monument building because this is what the UDC is responding to. You could argue is South Carolina bringing down its Confederate monument and having a debate over what to do with these Confederate monuments. And, unfortunately, in this case, the UDC is digging in its heels and restating the false mythology of the Lost Cause. So this just says to me that interpretive markers are not the answer. And I think that communities have a moral obligation to bring down these symbols of white supremacy. RLH: Can you tease apart white supremacy from confederate memorialization, Chris Fonvielle? I mean what do you lose if George Davis comes down or the statue to the Confederate Soldiers comes down? Why is this so hard to think about as an option? CF: Well I personally lose nothing and I'm not going to lash myself to the statue of George Davis or any other statue. If people decide that the best method of dealing with this is to take them and put them in more appropriate places where they can be better interpreted, be it a museum or a State Historic Site, I'm not going to fight that. But I do think that these statues have been up so long they have become a part of the urban and historical landscape. 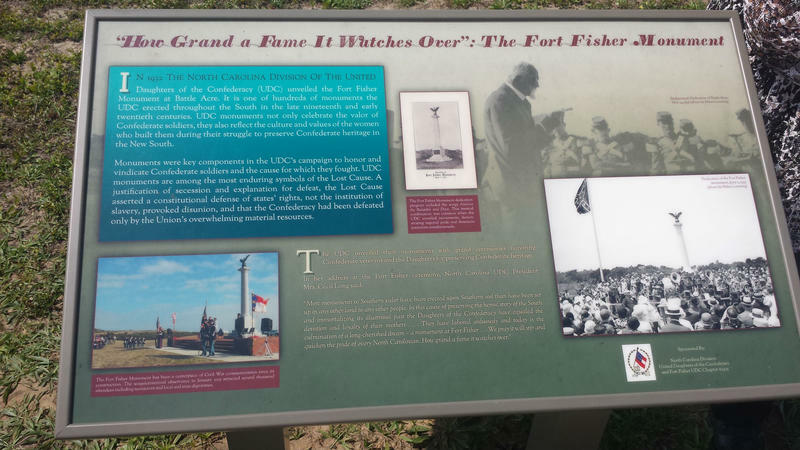 And I think, properly interpreted, and I agree with Monica in the case of the D.C. interpretive marker at Fort Fisher, the wording is very biased. But I think properly interpreted and you can have a number of people contribute to that interpretation. And you just lay out the arguments for and against. RLH: What Monica just said, though wasn't that it was biased; she was saying it was just factually, historically incorrect. CF: Right. Whatever. You know she's saying or implying but I think there is a way to do it correctly. To provide good historical context. RLH: Dan writes: I'm a relocated Yankee, and live in Wilmington. I feel bad for Southerners as this part of their history. And these statues and I recognize they can be interpreted differently to different people, however, it appears a few squeaky wheels are now the voice of all. This appears to be a trend throughout the US. Let the public have a say and have it put to a vote. One man's vandalism does not necessarily represent the people. Ann writes: I was a resident of Wilmington for 12 years and passed those statues every day without really giving it much thought. They were historical monuments depicting a dark time in our history. But for me they were not symbols of oppression as they clearly are for others. While I think that ridding ourselves of these dark reminders is a mistake, I do not think they should be put up on a pedestal. I think they belong in museums with appropriate accompanying information to give everyone greater insight. RLH: You're listening to CoastLine… It was almost exactly a year ago when we first dedicated an entire edition of CoastLine to the ways southeastern North Carolina and specifically Wilmington memorializes the Confederacy. One year later, after Charlottesville, Virginia and after the removal of these monuments in states around the American South, we're taking another look at where we are on the issue. We also have an email from Nancy. She says: The statue of the Confederate Soldiers is a sad and touching reminder of the lives of men lost on both sides of the tragic Civil War. It is a beautifully executed work and I just see it as a tribute to the memory of the Confederate dead. The war was fought over 150 years ago and the South lost most of the men who fought with the South were not slave owners. Only a small percentage, as I learned from the Ken Burns documentary a few years ago on the Civil War, were an issue. There’s a lot more in this email, and I won't have time to get to it all, but I promised we'd get to Monica. Monica, can you speak to Nancy's idea about honoring the Confederate dead? MG: Well I want to pick up of one of the things that she said which is the “tragic Civil War”. If we think through the meaning of the Civil War, the Civil War was a revolution that led to the emancipation of four million people. So that is not a tragic civil war. That is a civil war that marks the birth of our nation and the end of slavery. I think I want to go back to something to sort of have us refocus on what these monuments mean because when we're talking about historical markers we're talking about contextualizing, we're talking about all of these different perhaps Band-Aids to these monuments. And I want to emphasize that historical monuments are an expression of power. These markers mark who has the power to choose how history is remembered in public places. These monuments tell us about the time in which they were erected more so than the historical era. They're meant to memorialize. So I don't think we should lose sight. You know we may have all of these different remedies putting up other monuments, putting up historical markers, but at the end of the day these historical markers are expressions of power. They were put up during the Jim Crow era to reinforce white supremacy. There was another wave of monument building in the 1950s and 1960s as a representation of massive resistance to integration. So I think it's very important to sort of refocus our discussion on what these monuments actually are, not focusing so much on kind of how we can perhaps paper over what they are. MG: There's, I guess it's simpler to say that there are two waves. We'll simplify it to two waves of monument building. The first phase is between the 1890s and 1920s, so that's when the George Davis statue was erected and the statue of the Confederate dead in Wilmington was erected. This was a time in which the Confederacy was coming to be idealized as the so-called lost cause. And it was the time in which the Jim Crow system was being fastened upon the South. This was also the height of disenfranchisement and lynching in the United States. And so historians argue that these monuments were erected to further legitimize the Jim Crow South. The second phase as I made reference to was during the 1950s and 60s, and you see a proliferation of streets being named for Robert E. Lee, for Jefferson Davis, and a proliferation of monuments. And again, these were built as part of the movement for massive resistance against integration and against the Brown v. Board of Ed decision. So we need to look at them in their historical context. And we need to understand as I said that these are expressions of political power. ES: I agree with what they said -- that they were put up as expressions of power. My argument with new monuments is that it shows that this is a new day, that African-Americans now have a voice and now a part of what the South is and thus to put up monuments to show, that to put up monuments of people that like David Walker that Southerners wanted to wanted to kill or whatever it is. And that shows that, you know, those old days, at least in the same sense that they were, we still have many, many issues and that kind of thing, but that African-Americans have at least gained some power or whatever by the fact that we can put up monuments and aspects of things that that recognize them. And again also contextualize those things that those Confederate monuments that are up. RLH: Ed from Southport, welcome to CoastLine you're on the air. Ed: Oh thank you, Rachel, for again putting this program together. I recently moved from New York to Southport, and I think we need to move away from where we were and do away with all of these symbols and move more towards the culture that we can become. I remember a conversation a couple of days ago from the head of the NAACP, who ended up voicing that same direction. And if we can end up doing that, I think we will create that generational change that we need in this country and it needs to start with discussions like your program and it needs to cascade down into the school system as well. We need to have roundtable discussions that will take place in some of the high schools and the colleges so we can get this message across. Generations after generations over the years since the Civil War ended continue to harbor these views. If we fail to end up enacting this change, shame on us, because there are a number of countries that are out there looking to the US for that leadership. RLH: Ed, specifically, what views are you talking about that we continue to harbor? Ed: The symbols that take place here in the South are symbols of the Confederacy. And while, yes I understand the economic impact of slavery but it goes more than that and cuts deeper. It's racist. All you have to do is go and attend some of the sports programs that are out there and the players that are either in the NBA or any other major association, the voices that you hear while they are a minority. There's no generational change is going to take place. People aren't born in this country having racist views. They're indoctrinated either through their parents or friends and by removing these symbols, that helps remove the generational issue and people close to those views and values. And again, I understand it's a very hot topic and it's a very emotional topic for people who are continuing to end up being in their 50s, 60s,and 70s. But the change that has to take place in this country has got to be one long-term change. And people have got to get behind it if they're going to do anything. RLH: OK great. Thank you so much for that call. And Chris Fonvielle, you want to respond to that? CF: I remember someone said to me one time that the statues that we erect, the names that we give to streets and buildings and parks should reflect only our values. Whose values are we talking about? Who gets to decide? We are a diverse community. We are a diverse nation. And I think that our statues and whatever should reflect that diversity. RLH: And I’m going to challenge you on that, Chris Fonvielle, about diversity here in Wilmington. Actually Wilmington is becoming less diverse as we speak. The numbers of ethnicities -- of other people who are not white are shrinking. CF: Well and let's try to, you know, remedy that. But we were a diverse community and a diverse nation. And I think it should reflect that what the statues mean to some people may not mean the same thing to someone else. If you do view them as offensive, if you do see them as reflections of the lost cause, then teach that. These are wonderful objects for teaching and learning, and I think by removing them, you've denied people that opportunity. RLH: We have an email from Valerie who is from UNCW’s department of world languages and she says, “I asked my students to write anonymously their opinion regarding Wilmington's statues. these are Spanish classes so they wrote in Spanish, whether they believe these monuments should remain where they are or be removed. I thought you might be interested in the results. Fifty voted to keep the monuments where they are. Thirty seven voted to remove them. A typical ‘keep them’ rationale said you cannot erase history. A typical ‘take them down’ opined that we should not honor people who devoted themselves to perpetuating slavery. Thanks so much for that email, Valerie. Monica Gisolfi. MG: I think I want to speak to this idea of there seems to be a couple of faulty arguments. The first is a erasing history: taking down the monuments does not erase history. We don't need them to teach this dark history. We have books and documents and images and video footage to teach this history. So keeping these monuments -- they're not a vehicle for teaching Southern history. I give a walking tour where I look at white supremacy written onto the landscape. I can give that walking tour without having monuments that venerate the Confederacy. Next, I want to think through this idea of what's offensive and what's not offensive and that we need to have a diversity of ideas. In Wilmington, we have a street named for Nathan Bedford Forrest who was a general in the Confederacy and one of the founders of the Klan. I think we can all agree, I would think at this table, we can all agree that we do not want, that we do not want a street in Wilmington named for one of the founders of the Klan. So I think that maybe this idea of a diversity and a cacophony of ideas again continues to obscure the fact that the monuments are an expression of power, and that there are markers of who has the power to define history in these public spaces. That's why I think that there is an argument that can be made for taking them down, a moral argument that can be made for taking them down. CF: They are another tool for teaching. You said yourself that when you're on walking tours you talk about the landscape of Southern racism. Yes it's true. We have documents, we have books, we have historians, but we also have these monuments that can provide good objects for teaching and for learning. Monica said herself that she uses these monuments. I do the same thing when I take my walking tours of downtown will and put them into the right historical. RLH: What do you say when she says things like -- this monument is an expression of power? It's an expression of what was happening during the time it was erected -- when it was erected who had power? CF: When it was erected? Who had power? And that's a lesson that we should talk about. We need to talk about the South’s complex troubled and dark past and by removing the statues, I think we remove an opportunity to do that. Nothing teaches like something as visual as a monument. So Chris Fonvielle, if you're taking, let's say, a 7-year-old boy through a walking tour and you're explaining to him in very simple terms what these monuments mean and let's say that he is African-American boy. How do you feel when you have to explain to him that this person, George Davis, fought to keep his ancestors as property? How do you feel explaining that to him and that this man is now in this sort of position of power at the entrance to the city? CF: I've done this many, many times on public walking tours and walking tours with my students. As far as the Confederate soldier was concerned, I think those monuments were put up or they reflect who the common soldiers were. United States government recognizes that Confederate soldiers were simply American fighting men who to this day at taxpayers expense, a descendant of a Confederate soldier can get a grave marker to him. So they were simply American fighting soldiers. Were they fighting for a bad cause? Absolutely. Was George Davis a representative of the Confederacy perpetuating slavery? Absolutely. But as I teach that, I provide the historical context. ES: Again my view is that you need to contextualize this with any kind of walk. It needs to be information that provides the other aspect of things. I think these statues that are standing there by themselves where they are now; it is a bad thing. I mean they must -- you must either contextualize them or build additional statues or they should come down. I mean just leaving them there just like it is now is not good. MG: I think what I see sort of taking away from this conversation is that we all agree that these are symbols of racism and injustice and this then suggests that we want to move forward with this conversation of what do we do? What, then, do we do with these symbols that we all agree represent racism and injustice? RLH: And on that note… That's this edition of CoastLine. Monica Gisolfi, Chris Fonvielle, Earl Sheridan thank you all so much for being here today. Nancy writes: The statue of the Confederate soldiers is a sad and touching reminder of the lives of men lost on both sides of the tragic Civil War. It is a beautifully executed work and I just see it as a tribute to the memory of the Confederate dead. That war was fought over 150 years ago and the South lost. Most of the men who fought with the South were not slave owners. Only a small percentage, as I learned from the Ken Burns' documentary a few years ago on the Civil War, were slave owners. There are many monuments to the Northern soldiers and leaders on the northern side of the Mason/Dixon line, as well. I do think that it is a good idea to erect statues of Black Americans who have made contributions throughout the history of this country, but I do not believe the Confederate monuments should be removed. My ancestors, including my great grandfather in Virginia, fought for the South. They were brave young men and I will not let anyone try to tell me that they were traitors and losers. Robert E. Lee was an honorable man who was a unifier after the war and had been admired by his men and even by General Grant. His tactical plans are still studied at West Point. The times were very different from now and I do not believe we can just erase the past but can learn from it. Why can't this controversial issue be brought to a public vote? That would seem to be the equitable and fair way to deal with it. I am a proud American and in no way condone the KKK or any white supremacy group. They are just causing more hard feelings and creating violence over this and related matters. It would seem a good idea to re-run that Ken Burns' documentary on The Civil War. It was so in depth and poignant presentation of this tragic event that divided a nation over 150 years ago. Let's leave history alone, learn from it, and move on to truly important current concerns in our community. Additional points: Two of my favorite books (and films) are "Gone With the Wind" and "To Kill a Mockingbird". As a child I learned from these writings/films that slavery was an evil institution and that its aftermath well into the 20th century has affected both blacks and whites. The issue of whether or not to remove the statues is not a simple black and white issue. There are many things to consider. Again, let's put it to a vote. And, yes, let's erect more statues to the achievements of African Americans. And, don't forget that the main thoroughfare through Wilmington (other than Market Street) is Martin Luther King Boulevard. Almost every city in the USA has an MLK Blvd. Tom writes: Perhaps we should change our verbiage to 'move the confederate statues, perhaps to a North Carolina Museum of confederate history, instead of continually saying 'taking them down' which sounds like a permanent removal. Bob writes: Agree with Earl and Chris re: alternative signage and "counter" monuments. I was upset as a visiting child in '50s and '60s at the soldiers monument at Dock and 3rd (didn't see, as child, George Davis). Since moving here full time in '05, wanted to see some "counter information" to these -- e.g., monument of Galloway at 3rd and Market, say facing Davis from other side of 3rd. But not necessarily having the Confederate symbols removed. Why? The Confederate monuments were indeed put up to glorify the "new south" revisionist version of history by, largely, descendants of Confederate vets. With appropriate additional information, per Earl and Chris, they can become venues for learning not simply about civil war but about the historical context of new south revisionists of late 19th cent. and after. Remove them, and we remove venues for learning about types of revisionist history supported by so-called civic groups--forms of history that had too much impact, to be sure. Revisionist history by civic groups is one thing. By professional historians is another. Beware. I taught Amer. political thought for 30+ years, and am too familiar with the various versions of causes and consequences of the civil war. A revisionism that reverts to single causes -- e.g., white supremacy -- and discounts other causes (the nature of federalism and the disputes over state and Federal authority) fails to teach of the nuances of history. Kevin writes: Monuments should go...not be added to. Statues are creepy. Stop the veneration building on all sides. Leave the discussions for history books and films and classrooms (and Coastline). OK in a museum, but not in our face. Veronica writes: I'm a woman of color from a small, predominantly African American town in Alabama. My hometown square is centered around a confederate statue. As a Southerner and history lover, I used to fall into the camp of "balancing the narrative" approach. What changed my mind, and solidified my support of their removal, was the reminder that these monuments honor leaders of an armed revolt against the Republic--that LOST, to boot. Racial issues aside, where else do you see public veneration of what essentially amounts to treason? Brian writes: Many of the people honored by these statues are military figures, and had very few accomplishments outside of their military careers. The statues often depict the subjects in military dress or even riding a horse. If the people being memorialized had qualities worth memorializing, I feel the statues could be justified, but the singular reason for the presence of the statue is to honor their efforts to promote slavery. J. Lorand writes: One expert commentator said, "These statues represent not who we are but who we were." "We"? These monuments honor who white people were--that is, a collective organized to terrorize and exploit black people for centuries. These monuments invoke a sense of civic community that did and does exclude black people as rights-bearing citizens. Second, let us also remember the Wilmington Coup d'Etat of 1898, in which the same racially exclusive community that erected these statues overthrew the city's democratically elected and multi-racial government and terrorized African Americans. These statues not only simply recall history, but they also HONOR the fight against democracy and in favor of the exclusion of black people from the civic community. P.S. These statues were erected at ths height of the era of lynching. Their remaining in a place of honor is an insult and a deliberate act of aggression toward my ancestors, to my family and to our descendants. Imagine placing monuments to the Nazis all around the city, simply because they were a part of history. Beth writes: After studying for many years (many years ago) with Dr. Joel Williamson at UNC, it occurs to me that white southerners are singularly the most successfully self-delusional collection of humans ever. My dad was a product of the carefully crafted, hyper-romantic rewriting of history perpetrated during the “redemption” era. Those delusions were embraced to justify Jim Crow, and negated any ownership of responsibility for the profound damage that flowed form an economic system based on slavery and later extreme discrimination. Unlike any other culture, we have a remarkable gift of romanticizing our ante-bellum roots to the exclusion of acknowledging the depth and breadth of the damage caused in planting them. Every celebration of the Azalea Festival troubles me. As a good white southerner, I believed my dad’s stories of the “Old South.” His family was never one of means. They had no economic stake in the “old life” but believed because they believed the cultural myth of their time. As I began to explore the truth of our southern-ness, my dad joined my journey. To deny the darkness of these delusions is to perpetuate the harms done by multiple past generations. Justin writes: As a Northern transplant, and one who was indoctrinated with the notion that the CSA was on the wrong side of history, I must say that the media perpetuation of the idea that the Confederacy was solely based on the idea on the protection and promotion of slavery is dangerous. Yes it was part and parcel but not the sole cause for secession and war. Additionally, there are many larger issues at hand rather than what statues are where and who wants them there or not. We have a completely inadequate President and cabinet, the threat of long-standing war and new wars, and people starving. Not to mention a whole host of local community issues, not the least of which is the high influx of heroin. Let's focus on the bigger issues. We can worry about statues later. Josh writes: If the statues don't represent who we are today, why do so many take it as such an assault to bring then down? Also, whites and African Americans in the area have worked alongside each other in the fields for a very long time. Couldn't we create some monuments for the common workers to help unite us? 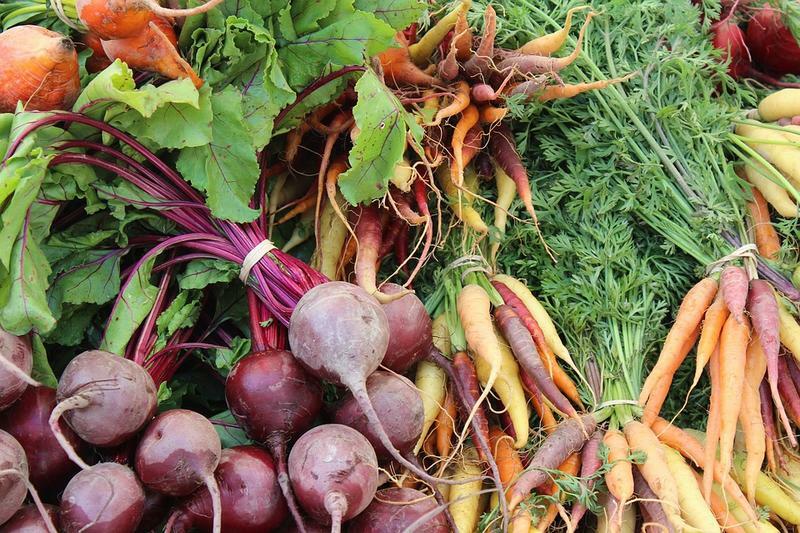 With the region’s latest heat wave and the tropical soup that’s spawned Hurricane Gert and three other potential systems in the North Atlantic, it’s hard to think about getting outside and planting anything that isn’t zoned for a humid, subtropical climate. But fall will be here before you know it, and in southeastern North Carolina and northeastern South Carolina, fall is a great time to plant. We find out why on this edition of CoastLine from our experts, and we hear about the latest garden trends, but most importantly, we get your gardening questions answered. Jump to Transcript. Jump to Related Links. President Donald Trump signed an executive order in late April to expand energy exploration drilling in the Arctic and Atlantic Oceans. 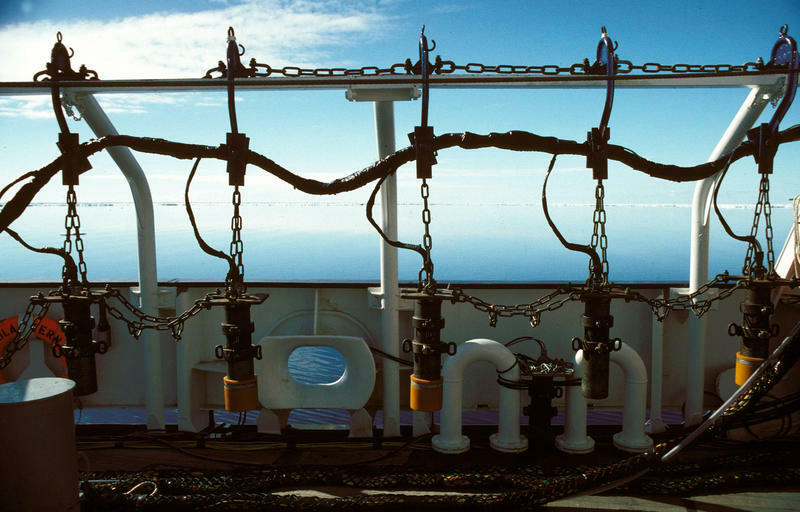 The order puts in place a new five-year program, 2019-2024, that will supersede the earlier one – essentially reversing the Obama Administration’s decision to remove the mid-Atlantic region from consideration for offshore drilling.